WARNING: This podcast contains strong language and mature content. 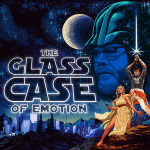 On this episode of The Glass Case of Emotion podcast, Ryan, Kim and Chuck talk about the triumphant return of the fanny pack. Ryan has a new mood ring. And hanging out with Kobe Bryant in Las Vegas.